Digitization and digital collection building began at the USF Tampa Library Special Collections Department in Fall 1995. In 1997, the library formally began to develop a plan to create a “virtual library” via twelve Virtual Library Implementation Teams. The Digitization Project Group (DPG) studied current standards and best practices in the fields of digitization and digital collections, and created a plan for the organization of the Library Digitization Center (LDC). The DPG was replaced by the LDC in 1999, while the Virtual Library Project work concluded in 2001. Digitization staff have continuously researched emerging standards to keep the digitization unit productive and efficient. In that spirit of innovation and efficiency, the unit has since gone through several reorganizations. A Digital Collections & Imaging Unit was created in Fall 2005 to streamline the digital collection building process by merging staff from multiple units across the USF Tampa Library. In early 2008, the unit was renamed Digital Collections & Services in order to emphasize its role in assisting patrons. In December 2008, DCS merged with the Special Collections Department to form Special & Digital Collections. In Fall 2013, the digital collections unit became a freestanding department and was renamed Digital Initiatives & Services under the Administrative Services division. Scholar Commons, a service of the University of South Florida Tampa Library, is a virtual showcase for USF’s research and creative energies. Launched in Fall 2011 by the Academic Resources Unit of the USF Library, Scholar Commons was originally intended as an institutional repository (IR) for the university that would also provide digital preservation and free open access (OA) of materials. Today, Scholar Commons provides worldwide access to thousands of articles, textbooks, journals, conference proceedings, and other types of research. In July 2016, Todd Chavez, the Dean of the USF Libraries, made the strategic decision to combine the scholarly communications staff and the digital information services staff into one unit, Digital Scholarship Services (DSS). 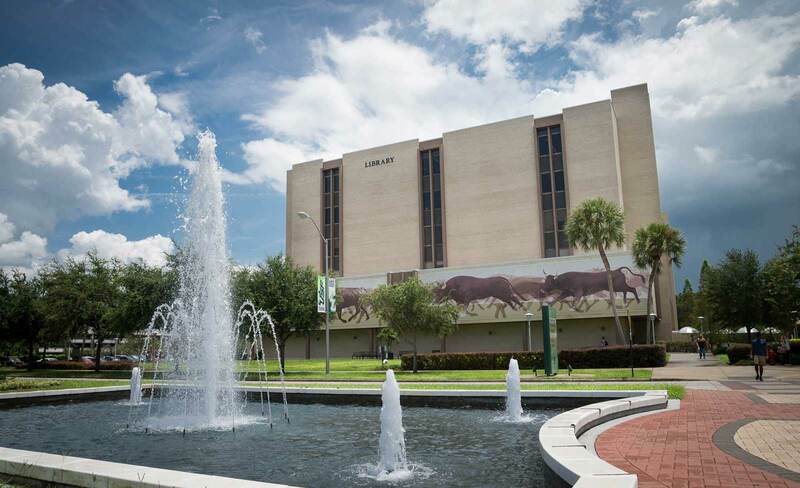 This new department will combine support for the USF Tampa Library’s two repositories—the Scholar Commons institutional repository hosted on bepress’ Digital Commons platform and the Digital Collections digital repository hosted on the Sobek platform. This reorganization combined the skills of two related areas with complementary goals that were previously located in separate departments with little to no cross-communication or coordination. This allows for the acquisition and expansion of skills in each area, better utilizing staff time during downtime from either side. As Dean Chavez noted in his plan for the proposed department in June 2016 (see Appendix), DSS can provide services to students and faculty who may lack access to the software, hardware, or expertise needed to implement digital projects for their teaching or research goals. It also places digital scholarship services on an equal footing with more traditional library functions. The two repositories have historically had varied goals and outside pressures. Digital Collections was originally part of Special Collections, and at the time of the merging, was still mainly reformatting materials from that collection to house in the online repository. Scholar Commons was formed to serve faculty and to collect, disseminate, and showcase original research from USF faculty and students. Merging the two units has energized the staff, and DSS looks forward to having a h3, unified impact on the success of the library’s strategic goals.